Our easy care duvet cover slips over your comforter to keep it cleaner longer slowing down the wear and tear on the comforter itself. The zipper cover keeps your comforter fully enclosed and removes easily for machine washing. A must have item to protect your comforter. The cotton is thick and high quality. The zipper is well crafted to easily close and open. Once you put the duvet cover on, the comforter feels like something you would find in a 5 star spa. Love it! 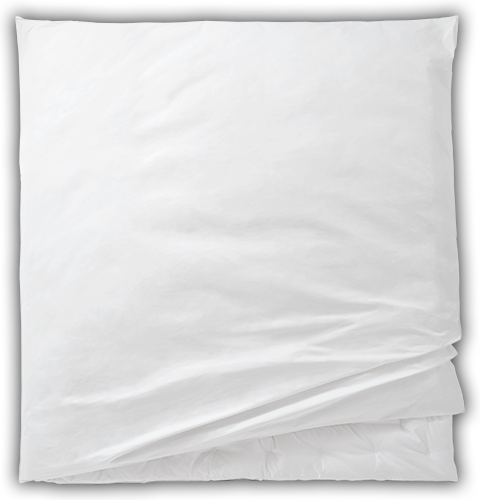 Protect your duvet cover with our easy care, machine washable cotton cover. It’s a simple solution that extends the life of your comforter, cutting down on the care and cost of the comforter itself. You’ll love how this 300 thread count, 100% cotton protector feels over your comforter and how the specially crafted zipper keeps your comforter fully enclosed once it’s secured inside. Our Comforter Protector is a great investment that will soon pay for itself. Our design features a hassle-free, quick and easy zipper closure.